No shock button to push. Automatically detects heart rhythm, analyzes it using the RHYTHMx® software, and if a life-threatening rhythm is detected, instructs operator to stand clear and automatically deliver life-saving defibrillation shock(s). 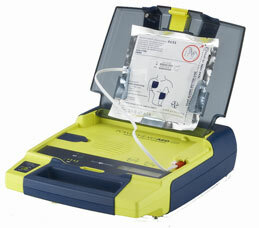 Easy to use, the Powerheart AED G3 Automatic allows virtually anyone to quickly and effectively defibrillate a casualty, dramatically improving the patient’s chances of survival.